Joy to the world, another Casino is here! Let every man have his spin, Let every woman too, and both of them win! Casino Joy opened its Online E-doors in 2016, and has offered its patronage a joyous experience ever since. Casino Joy offers a simple to use and friendly gaming experience. A bright online casino with clear ways of finding your way to the games, the cashier or any other thing you might need. We know if we were VIPs, we would definitely see if Casino Joy and their VIP Managers can live up to these promises. Casino Joy is basically “No Hassle, Just Casino”, but they went for “Turning the everyday ordinary into something extraordinary”. 1st Deposit: 100% up to €200 plus 200 free spins on Starburst evenly split over 10 days starting the day after your first deposit. Terms, Terms, Terms. They are like germs, but every good player knows they needs to read their terms. Skrill and Neteller deposits are not eligible for the welcome bonus. Bonus has to be wagered before any winnings can be withdrawn. Many banned games from playing with bonus money, be sure to read up on them. Some markets have slightly different bonuses than the above mentioned. 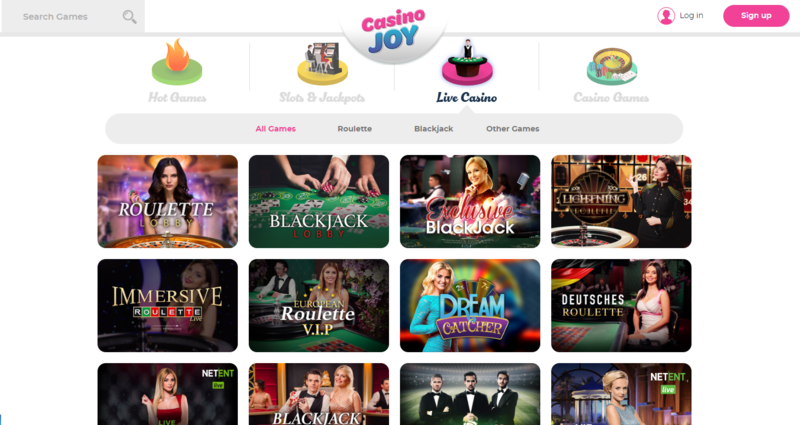 Be sure to check what Casino Joy has made available for your market. The slots offering at Casino Joy is quite extensive, albeit not as enormous at some of the other recent reviews. You will however find many of your favorite Game studios, such as Netent, Microgaming, PlaynGo, Gamomat, Big Time Gaming and so on. We tried some of our favorites again such as Gonzoäs Quest and Reactoonz, but also gave new games like Raging Rex from Playngo a shot. 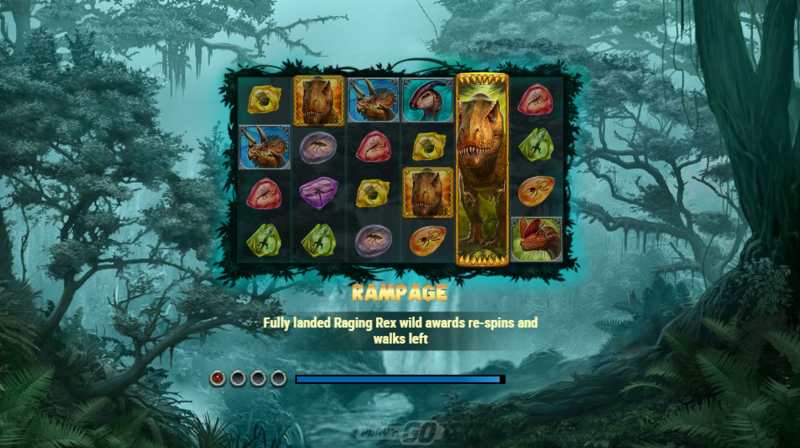 Raging Rex reminds us of Jurassic Giants from Pragmatic Play. Maybe it is just the T-Rex and the 6×4 reels though. At the time of reviewing, the Jackpot of Mega Moolah was at a staggering €18.4 million. 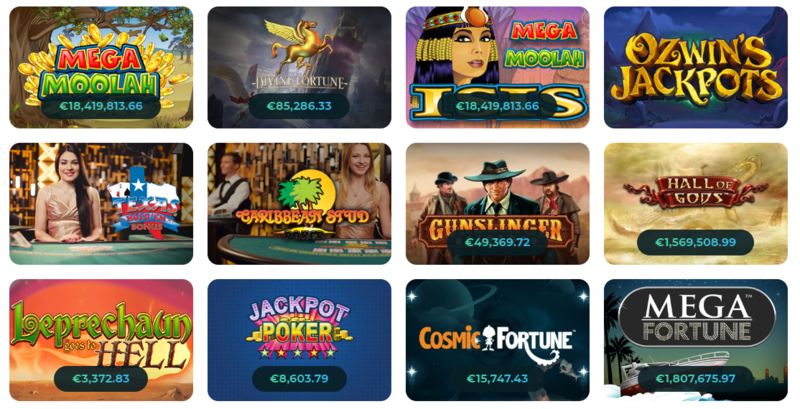 It is close to breaking the previous world record for a Online Slot payout, set by Mega Moolah in just September 2018! One lucky winner will set a new record very soon, will it be you? Favorite games is another feature which stands out a bit. Sure, many other online casinos do have the feature where you can tag a game as one of your favorites. However, many also do not, and when reviewing, it is still one of those features which makes you go “Oh, nice, they have this.”. Responsible Gaming is something everyone should be aware of. If you feel you might have an issue controlling your gaming, you should take steps to keep it under control. Casino Joy helps with many features in this area. First off, they have a wide array of limits you can impose. 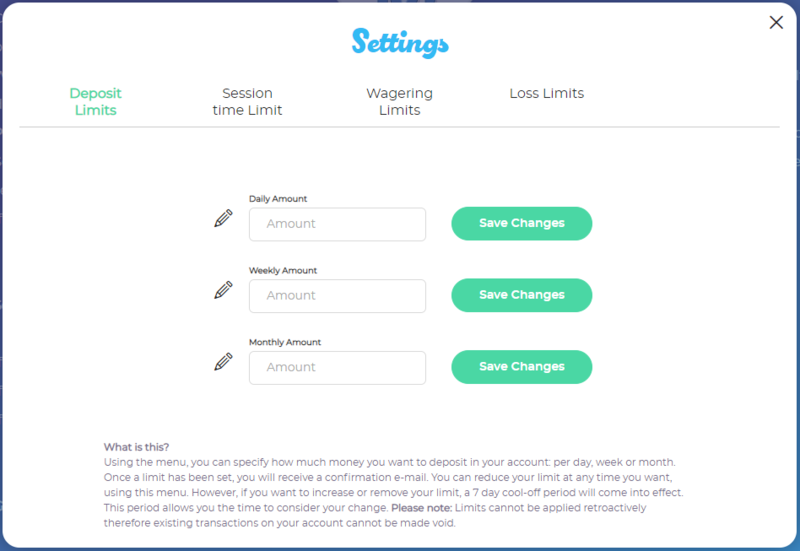 You can set Daily, Weekly and Monthly amounts for Deposit, Wagering and Loss. All independent of each other. Besides that, you can also set Session Time Limit, if you know you have problems going to bed at night. The Live Dealer tables at Casino Joy are provided by Evolution Gaming and Netent Live. Evolution offers studio tables from Malta and Latvia, as well as the exciting possibility of gambling on real land-based casinos. Why not try your luck in London at the Hippodrome or the Grand Casino Roulette in Barcelona. 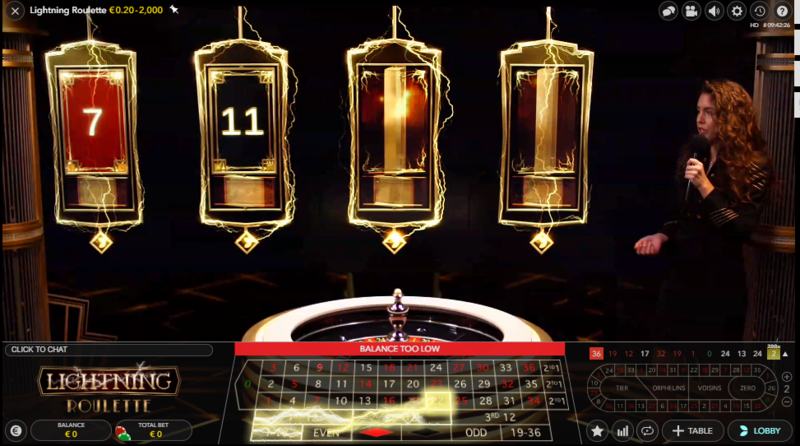 During our review, we gave Double Ball Roulette and Lightning Roulette a try. Yes, as you can see, at SlotMad, we like Roulette and other table games with a higher win potential. In Double Ball Roulette, if both balls land on the same number you are looking at a cool 1300 times payout! For us, the balls did not land on the same number, nor did it land on any other number we had bet on. 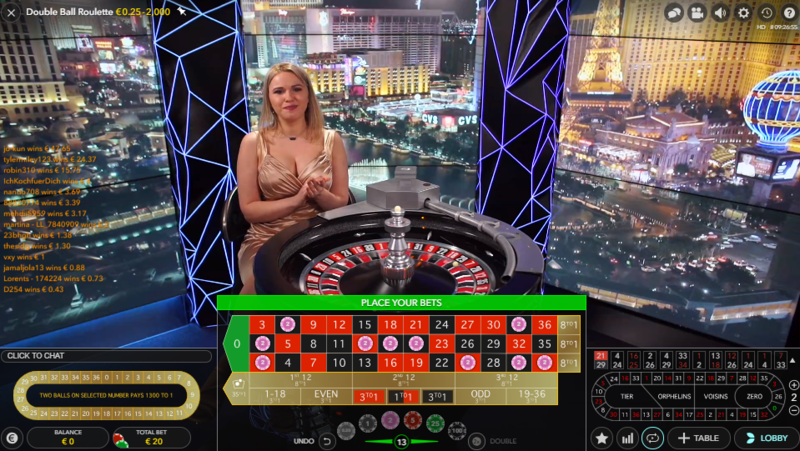 We moved on to Lightning Roulette, which is the latest innovation in Roulette brought to you by Evolution Gaming. In this exciting twist, 2-4 numbers are chosen at random to receive an increased win. This can go up to 500 times your bet. We tried it, or perhaps we should say that it tried us, or our patience atleast. After a few spins, we managed to get one of our numbers Super-charged with a potential 200x win coming up. Alas, it was still not meant to be and we set our sights back on Slots. Casino Joy runs regular promotions both on site as well as offers via email, SMS and Telephone. Only if you have opted in of course. On site, how about enjoying a 25% bonus every Tuesday? What is more, if you deposit during the week, you will be eligible for a surprise gift added to your account for the weekend. Have a spin in the beginning of the week and check your account inbox every Thursday evening. 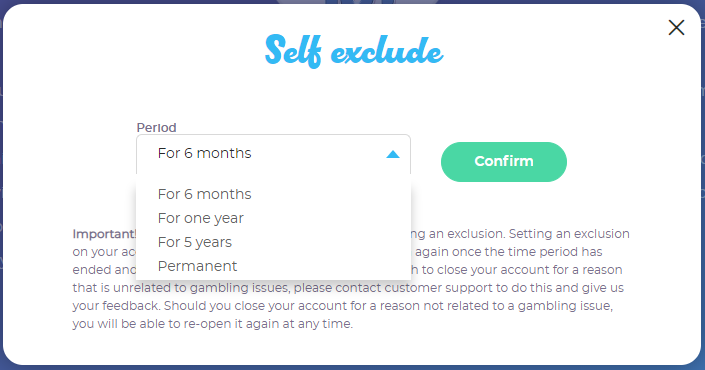 Casino Joy really wants their customers to enjoy the time the spent on their site. The bright color scheme of light blue and white are calming and it makes using the site a treat. The thumbnails are large but not too large. 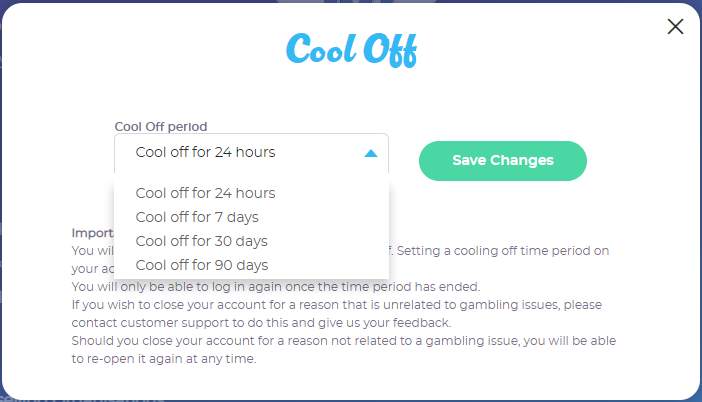 Stating 24-48 hours withdrawal times, with a verification time of 48-72 hours. Sure, it is not the shortest time we have seen, but our experience after testing is that withdrawals when verified goes a lot faster. We give Casino Joy a 4.5 out of 5 stars. We really en-Joy-ed it!